The development of new pharmaceutical products is an incredibly complex process, requiring years of research and development, and billions of dollars in investment. Ultimately, companies have only a short number of years to recoup their investments. However, for those that are successful, the payoff can be astounding. According to the World Health Organization, the global pharmaceuticals market is worth $300 billion a year, and is anticipated to increase by another $100 billion in the next three years. The market is dominated by the 10 largest pharmaceutical companies, which control more than one-third of the international market. North and South America, Europe and Japan are the largest consumers of pharmaceuticals, constituting 80 percent of the global market. The production of new drugs begins with a patent application. Drugs must also pass through pre-clinical development and clinical trials before moving on to registration and marketing authorization. In the US, that is when a drug will receive FDA approval. The European Federation of Pharmaceutical Industries and Associations (EFPIA) estimates that approximately 12 or 13 years may elapse between the first synthesis of an active substance and its introduction to the market. In terms of costs, the Biopharmaceutical Research Industry states in its 2015 Profile that discovering and developing a new pharmaceutical product takes an estimated $2.6 billion. Indeed, according to data from the Pharmaceutical and Research Manufacturers of America (PhRMA), the biopharmaceutical sector is the most R&D intensive in the US, with an estimated $51.6 billion spent on it in 2013. That spending adds up quickly: since 2000, American pharmaceutical companies have spent more than half a trillion dollars on R&D. The EFPIA estimates that only one or two out of every 10,000 substances synthesized in laboratories will ever pass all stages of development to become marketable medicines. Those are slim chances, and it’s important to note that even reaching marketability doesn’t guarantee a drug’s profitability. In fact, research from PhRMA shows that on average, only two in 10 drugs are profitable. Investing in pharmaceutical companies might sound like quite a gamble, and indeed it is during the very early stages of development for small start-up companies. 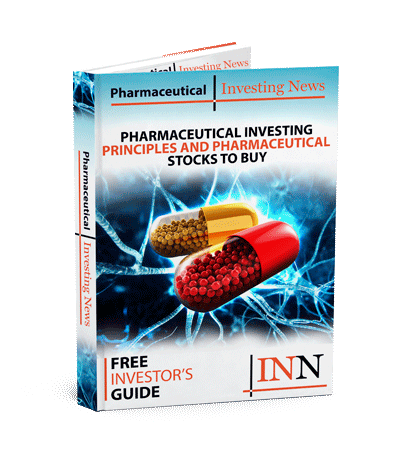 However, the vast majority of pharmaceutical investors are not directly affected by this lengthy, risky process. That’s because big pharmaceutical stocks are driven in large part by prescription data, new drug pipelines, M&A activity and competition and reimbursement changes, some of which are predictable factors. That can make pharmaceutical investing a fairly conservative venture. And despite the risks mentioned above, potential profit continues to lure investors to the pharmaceutical sector. For example, while blockbuster drugs are under patent, their profits can be enormous — the drug company Gilead Sciences (NASDAQ:GILD) achieved sales of $3.5 billion between April and June of last year for its new hepatitis C drug Sovaldi, which retails at $84,000 for a 12-week treatment program. Furthermore, the US alone spent over $1 billion distributing the new drug in the first three quarters of 2014. All in all, the pharmaceutical industry can be an incredibly rewarding investment for investors willing to do their research and take on a little risk.